In a recent survey the Office of Tax Simplification (OTS) found nearly 40% of respondents said that dealing with the estate administration of a loved one who had died had taken them on average more than 50 hours to complete, with some spending more than 100 hours. Estate administration is the process of handling a person’s legal and tax affairs after they’ve died. This means dealing with all of their assets (e.g. 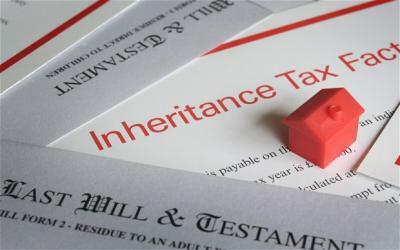 property, personal possessions, shares and bank accounts), paying any Inheritance Tax and Income Tax, applying for a Grant of Probate and distributing inheritance to the estate’s beneficiaries. Estate administration can often be extremely complex, time-consuming and an added stress at an already difficult time for the family. At Lentells, we have a specialist Probate team with a wealth of experience working with our clients and their families. We are flexible on the level of service and support we provide; some clients choose to pass the entire process over to us, while for others we can just assist in the more complex areas where more specialist advice might be needed, for example in applying for a Grant of Probate. Our Probate service is competitively priced; we think it is fairer to charge based on time spent taking into account the complexity involved rather than just charging a fixed percentage of the estate value, which tends to penalise relatively simple but high value estates. For more information on our Wills and Probate services, click here.